Join this session to learn more about what gave rise to the changes in Section 503 and get current data on the status of people with disabilities and employment. 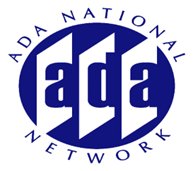 The presenters will provide an overview of the final guidelines and discuss the ADA Amendments Act (ADA AA) and how understanding the ADA AA is critical to compliance with the new guidelines. Dilemmas regarding implementation will be discussed (i.e. collecting disability data, etc.) as well as tips on what employers need to do to including but not limited to making changes in their systems and practices.Resources to assist with compliance will be provided.